I heart doodle bugs paper. I love happy, colorful anything. I especially love happy, colorful, personalized paper. So I am happy to introduce you to Kacey. She is all about happy, colorful, personalized goodness. And here is my "Doodle Bugs" story..
Doodle Bugs is MORE than a full time job BUT I also manage to get up everyday and go to work as a first grade teacher. Why, I simply love kids! Couldn't you just order up one of everything? Kacey is going to give one happy paper loving winner a $30 gift certificate so you can choose your own personalized goodness. 1. Visit Doodle Bugs Paper. Find that one thing you can't live without. Come back here and tell me what it is. 2. Follow her super fun blog. Be sure to leave some comment love. 3. Make a purchase at her shop. 4. Write a handwritten note and mail it. Don't you wish you had some Doodle Bugs paper to write it on? A winner will be chosen on Friday Oct. 23rd. I love the pink/brown bird note cards! So sweet!!! I like the pink zebra folded notes! 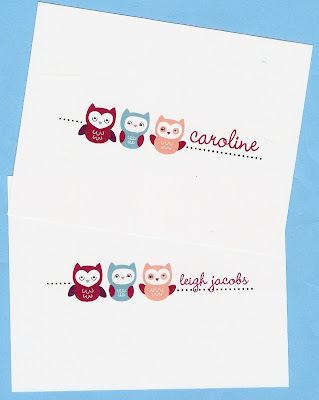 I love the owl address labels, they would be so handy! Too cute! I love the waterproof stickers! Fun shop with lots of options! I like the Crocodile Smile Folded Notes for Thank Yous for my sons next birthday. Thanks! I visited Doodle Bug Paper and LOVED the folded notes!! Couldn't decided between the candy dot circle notes, the brown and pink bird notes or the 3 initial notes! Great stuff!! ..and I now follow her blog. I also left her a message. i'm loving the polka-dot intial return address stamp. i've been wanting one of those forever! also, left kacey some blog love! I mailed a card last week. Does that count? Oh, I LOVE the Boy Crocodile Smile stuff! I really liked the pink giraffe design stickers and cards. I am sorry I missed the sale! i like the lollipop folded cards - thanks for the great blog and the chance. So hard to decide! 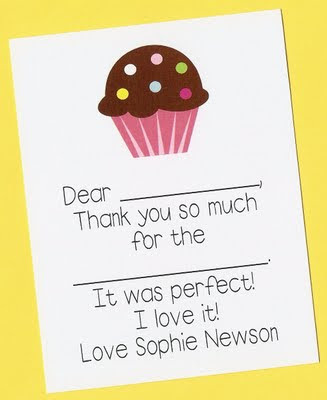 I love the kid's thank you notes -- so easy! I'm looking through the folded notes section for a birthday gift. I'd love a flip flop graphic, but haven't found one yet. Think she'd customize? Entry #2 -- Following the Doodle Bugs Blog in my Google Reader. I would love to send out the Christmas Candy Dot Folded notes this year! I really like the bag tags! Too hard to pick just one! I love the Animal Print Round Stamp! We're about to move into a new house, it would be perfect for our new address. I'm a follower of Doodle Bug Designs! ... and last but not least, I adore handwritten notes and make a habit of sending them on a regular basis. 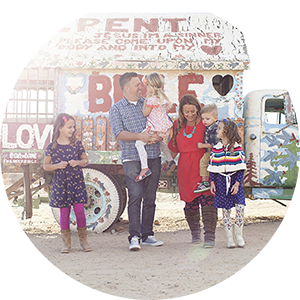 I became a follower of doodle bugs blog! I wrote a letter...with daughters help to my college roommate in NC. We even glued on pieces of fabric! Thanks for another entry. I love the monogrammed recipe cards and the little mixing bowl recipe cards!! I sent a note to an ailing great-aunt. oh my goodness, i can't just pick one! i love notecards and handwritten notes. i love the sitting owls, the bluebird, the fancy monogram, the family cards, the pink zebras...the recipes cards. oh my! LOVE! I want the fancy border personalized round stamp! And pretty much everything else on the site! How can you choose? Thanks for letting me know about this place! I love the 3 Christmas Tree Folded Note Cards...she did my Christmas cards last year and I'm already excited to pick out my new ones for this year!!! The Chritmas Candy Dots Square stickers are great!!! I write handwritten notes all. the. time!!! I wish more people did so I would get a response LETTER instead of a response EMAIL....that irritates me! Wow! This store is S-T-O-C-K-E-D! I love the bluebird folded notes. But, really, these designs are ALL so pretty and cute and wonderful. I mailed a get well card to my bed-resting sister! These are just the types of cards & notes I love. I love the patchwork folded notes, they are on my wish list. Thank you! The Standing Owl Square Stickers are calling my name! I really need some fill in the blank Christmas thank you's for my little girl! And I follow her blog! I love the kids thank you notes...especially the alligator and the pink giraffe! What cute stuff! Fun! I think I'd pick the Funky Merry Christmas folded note cards. I'm having a baby right before Christmas, so it would be great to have a pre-made personalized card to send out. The pink princess children's thank you notes would be great! What a cool way for kids to send thank you cards in a easy way! I really like the scalloped return address labels-my ugly free ones are running out! Love the Scalloped Square with Initials Calling Cards. I absolutely love the Kid Thank you cards. love the labels...especially teacher labels. I teach grade one as well and would probably love a stack of labels to stick on all my books that are borrowed out. Cute stuff! I like the Candy Dots Circle address labels and the pink/brown recipe cards! I follow her blog now. I love the the Red And Green Polka Dot Christmas Square Stickers. So cute. 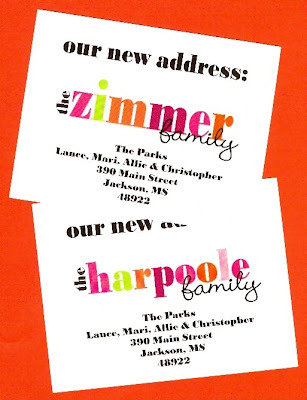 address labels. notecards. recipe cards. anything with owls please. wow. love that store! Love the monogramed onesie folded note cards. What cute thankyou cards those would make after a baby shower. I just wrote a card to my parents for dropping in for Canadian Thanksgiving!! I love her personalized stickers! I love the Christmas Polka Dot Line address labels! I love all the calling cards. Especially the whimsical flowers. I need those instead of scribbling my cell phone number on a grocery list to give a mom after a play date! I simply adore the Candy Dots Circle Notepad. Adorable! Just became a follower and left comment love on her blog. I love the mixing bowl recipe cards. She has some cute things! I'm following her blog, and I left her a comment. Ok, that was hard, I wrote a note to a friend of mine, and I'll pop it in the mailbox in the morning. I just adore the Flower Bouquet Notepads! I will be getting married soon so having this lovely notepad to write on whether it be meeting w/ vendors and jotting info. down or making a list of to-do's this would just be so nice to have! LOVE the personalized book labels! I would love any of her Christmas items. They're all so cute! And I'm a follower of her blog! 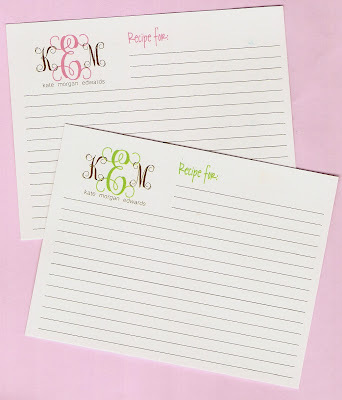 I totally love the monogrammed recipe cards!!!! I'm a recipe junkie!!! I follow the Doodle Bugs blog already!! I actually just received my last purchase of thank you notes for our new baby... love them!! Oh my gosh, everything is just too cute! But I loved the Blue BirdSquare Stickers. Adorable! I lot the polka dot tree address labels for Christmas. I love the kid thank you notes!! Personalized stationery is a love! I really need some calling cards, and I love the Whimsy Flower cards. I'm also following her blog. Wrote both my grandmas letters tonight. I LOVE letters & handwritten letters are so special. Oh, and getting mail is my favorite thing! I have all kinds of cute cards sitting on my desk but never use them so after reading this post I kept thinking I really need to send out a few cards. So I am sending out 4 cards today. Would love the Pink Princess Crown with Heart Thank You Notes for my girls' upcoming birthday party! Following her blog! So cute! I have ordered from Doodle Bug many times and can NOT say enough good things about her stuff!! Love, love, love it. One of my fav's ( if I HAD to choose )is the crazy candy circle dots folded notes. Too cute. We move so much that I can't help but be drawn to the moving cards - the Mango Sunshine being my favorite! What a great site! I love the Bright Fancy Monogram Notes and the Pineapple Stamp. What fun!! Oh! and I am a Doodle Bugs follower. I LOVE stationary and note cards and I write and send out many of them every month. I visited the website and absolutely love all the teacher things... 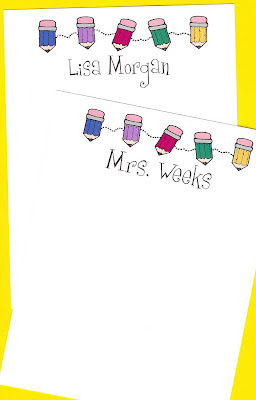 I am not a teacher yet... soon but when I am I will definitely order some stationary!